We have never before received such a warm heartfelt note from a vet. Wish you were our regular vet. 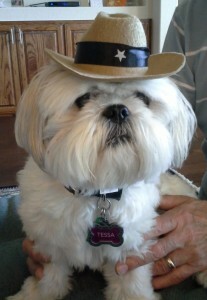 By the way, Tessa says “Howdy.” Her hearing seems perfect again.